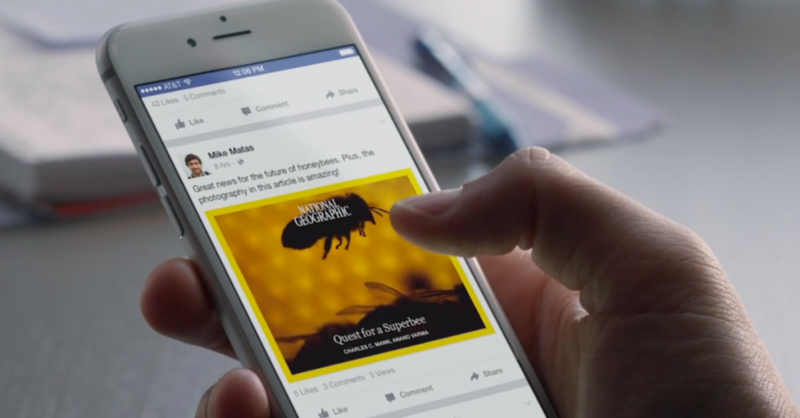 How Will Facebook Instant Articles Affect SEO? Home > Search Marketing > Social Media > Facebook > How Will Facebook Instant Articles Affect SEO? 08 Apr How Will Facebook Instant Articles Affect SEO? Will Facebook Instant Articles affect SEO? In some ways, I think optimizing for Facebook Instant Articles could affect every publisher’s website SEO, ultimately for the better. Here’s how. Any publisher, whether it’s a media outlet, business, or individual using content to establish authority will have to get serious about publishing more content. The one post every couple of months approach that some have will no longer cut it if you want to get involved in Instant Articles as it takes a minimum of 50 articles just to get approved. And, of course, if publishers incorporate the right keyword optimization into each article they publish, the addition of more articles to their website should lead to more keyword visibility in organic search. Hence, a positive effect on SEO. Publishers who haven’t been paying particular attention to specific formatting elements in their articles before will start to if they plan on getting into Instant Articles. Especially since Facebook will be looking for headers (H1 for the title and H2 for the subtitles), image and video captions, author attribution, and related article links for Instant Articles. 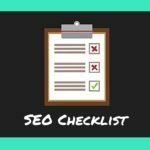 All of these are beneficial for SEO. Just make sure to keyword optimize article titles, subtitles, and captions. Related article links should help crawlers index more pages on your website and boost internal link value, especially when used with good anchor text (keyword optimized titles). As for author attribution, by giving proper credit to different authors on your website and providing the correct markup to reflect it, you will be able to potentially gain organic search traffic when people search for those authorsby name and find their articles or author archive pages. One of the main highlights of Instant Articles besides the boost in performance is the ability for publishers to create rich media experiences with content. Facebook is supporting images, video, animated GIFs, audio annotations, interactive images, maps, and slideshows to get readers more engaged with publisher’s content. Ideally, this will warm publishers up to the idea of creating more diverse content for their audiences. By creating more diverse content, publishers can expand their reach by distributing different media to networks based on the media type. Imgur, Flickr, YouTube, Vimeo, SlideShare, iTunes, Soundcloud, and many others could be prime targets, most of which would allow you to link back to the original article as the source of the media. Thus, gaining additional SEO value. At the very least, publishers will have to clean up a good bit of their coding to ensure that Facebook Instant Articles work – either in their website’stemplate or their RSS feed. 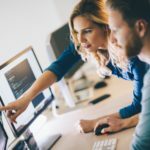 While technical precision doesn’t necessarily equate to a boost in SEO rankings, clean code does make it easier forsearch engine crawlers to do their job. This, in turn, makes it easier for your website to get indexed. In all honesty though, if HTML coding didn’t matter to Google, Google wouldn’t have provided a free HTML improvements tool inside their SearchConsole. People will begin to adapt to the mobile-friendly, high-performance of Facebook Instant Articles. Then, they will expect every website they load on their smartphones to have the same mobile-friendliness and high-performance. This will be especially true for any website linked to within Facebook Instant Articles as those website links will open up in the Facebook app. If those links don’t open to a mobile-friendly experience at high-performance, you can be assured that a Facebook Instant Articles-spoiled audience will want to leave. 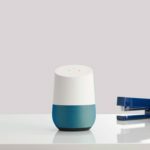 As a whole, websites that optimize for mobile-friendliness and high-performance are going to do better in search rankings because Google wants search users to have great experiences on the websites they click upon in search results. And, of course, websites that are mobile-friendly will rank well in mobile search. As noted in many search articles, Google prefers responsive design, so steer towards that in your mobile-friendly efforts. You can use Google’s free mobile usability tool in Search Console to see if your website has any mobile issues that could be affecting mobile search rankings. And as far as high-performance goes, do some testing with Google’s PageSpeed Tools. Thanks to SEJ for this wonderful content! Just like Game of Thrones, April is coming, along with Facebook Instant Articles. You can’t get started too early on preparing your website’s content for this new feature if you are interested in it. It can only help your website’s SEO, and as added bonuses, boost Facebook reader engagement on Facebook and help you monetize with the Facebook ad network. 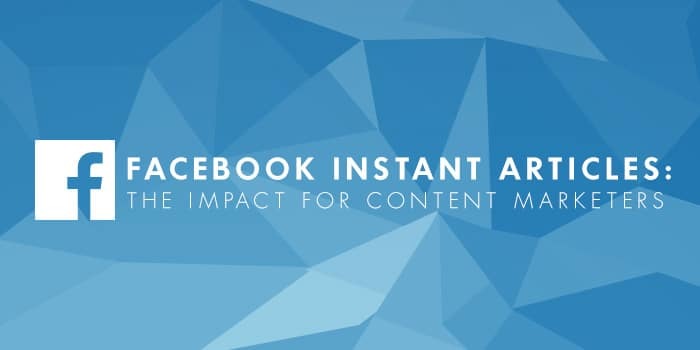 So take these action steps right now if you are interested in Facebook Instant Articles and the potential SEO benefits you could receive from optimizing your website for them. Sign up for more information about Facebook Instant Articles so you can get the link to the developer’s guide and a link to the Facebook group for publishers. Be sure to add the most prestigious site you write for as yourcurrent employer on your Facebook profile to get into the group. Start making the modifications to your website’s HTML code and RSS feed as directed. Get inspiration by browsing news articles by publishers who already have Instant Articles on your iOS or Android Facebook App. These publishers include The New York Times, National Geographic, BuzzFeed, NBC News, and The Atlantic. Note that not every link shared by these pages are Instant Articles – be sure that you aren’t being directed to their website. Publish more content if you don’t have 50 posts to submit for approvalyet. Experiment with creating different types of content (images, video, GIFs, etc.) for your content for more Instant Article engagement. If you think you will need support help for Instant Articles and don’t use Facebook Business Manager yet, start getting to know Business Manager now as that will be the only way to contact Facebook support for Instant Articles. 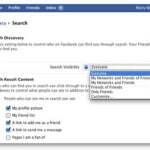 Know that you can add and remove your Facebook page from Business Manager if you decide you don’t like it, but you cannot remove Facebook Ad Accounts from Business Manager oncethey are added in.